Much has been said and written about NSA and its charter etc. 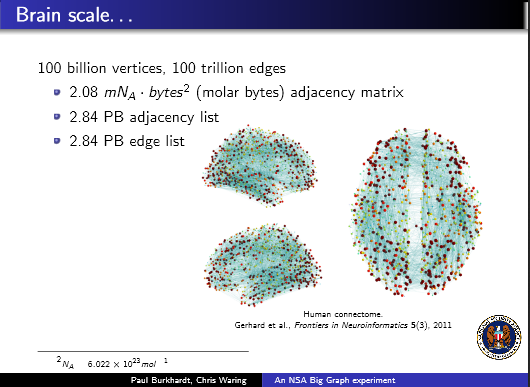 This post is not about any of that. 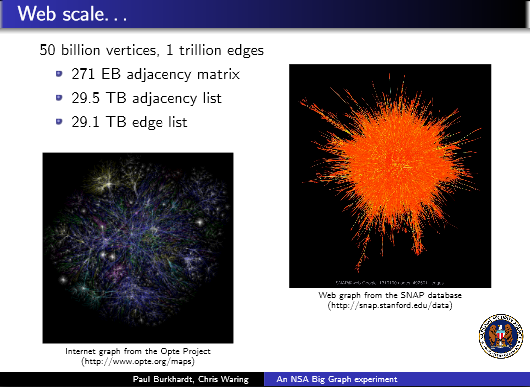 I will focus entirely on the a new tool that NSA has developed to meet its needs. 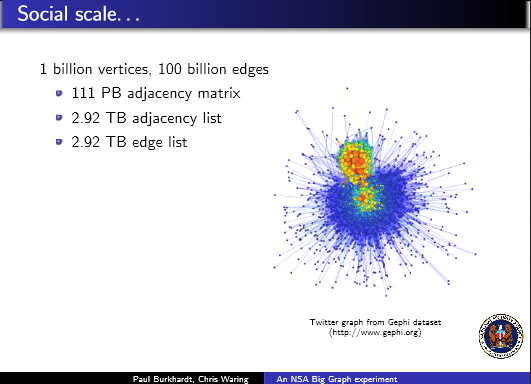 Recently Paul Burkhardt, Chris Waring presented a talk titled, "An NSA Big Graph experiment" at Carnegie Mellon University. Following is from the presentation. 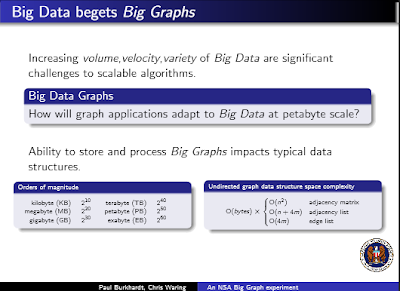 Problem Statement- How to handle graphing needs for big data? 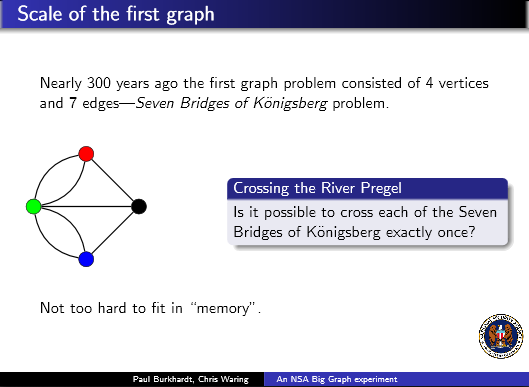 Growth of Graphing Over Time - The following 5 slides tell a good story and need no help from me. 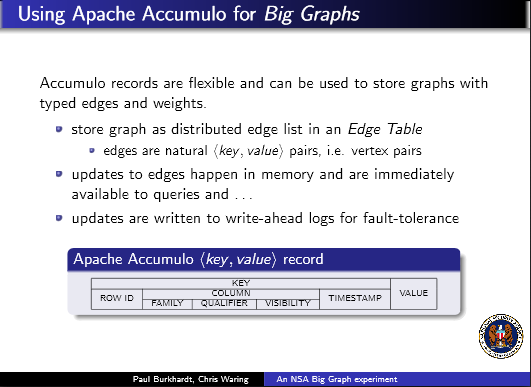 There are also some interesting use cases referenced in the complete presentation where Accumulo could be used as a scalable graph store and then pieces of graphs could be exported to either Hadoop or other graph analytics platforms for further analysis.